No plans for December yet? Do you want to party while you shop? Think no further, Worola presents Lagos sample Sale. Come and meet & shop your favourite Nigerian designer brands like; Tzar, Sisiano, Terracotta, Nale girl, TNL, Amarelis, Samuel Noon, Carl Andrews, P.O.C and a host of others at an amazingly discounted rate. Venue: Backyard Bar & Grill – 4b Musa Yar’adua, Victoria Island. Follow @lagossamplesale on twitter and Instagram to see all the brands having a sale. 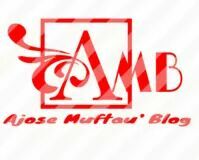 Next Post Ajose Muftau Blog is BACK!! !